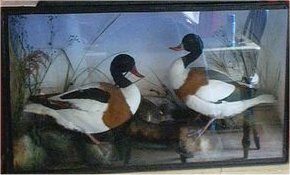 We get asked to recommend Bird Taxidermy Resources by our friends, we now include below a list of those we have had favourable feedback on this is not a complete list, if you don't find what your looking for then please feel free to contact us. 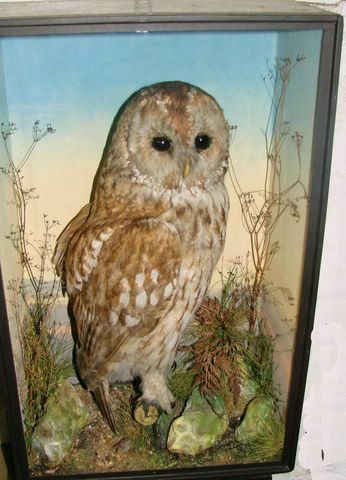 If you also wish to link to us then your taxidermy information shall only be placed in the appropriate class. 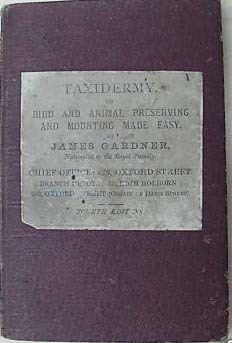 James Gardner is typified with bright and sometimes lurid groundwork and well executed birds and mammals. For some reason however Gardner cases are very prone to insect attack and moth damage. A conclusion can only be drawn that the preparation to "fix" the skin did not contain sufficient arsenic in order to prevent insect damage later on. 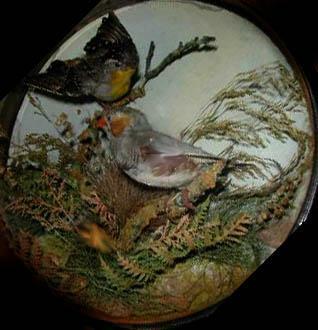 Gardner like many other taxidermists of their time created dioramas in various styles. 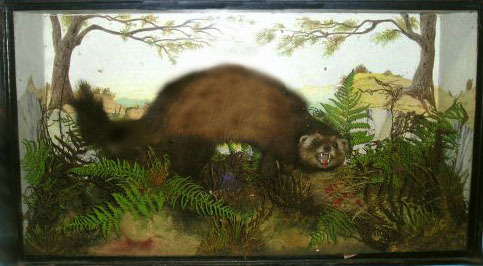 Typically Gardner cases tend to be large ebonised box cases with either gouache or watercolour backgrounds, that were either abstract or highly detailed landscapes. Wall hanging domes and free standing domes (shades) were also used to great effect. What is evident is always a bright coloured groundwork. 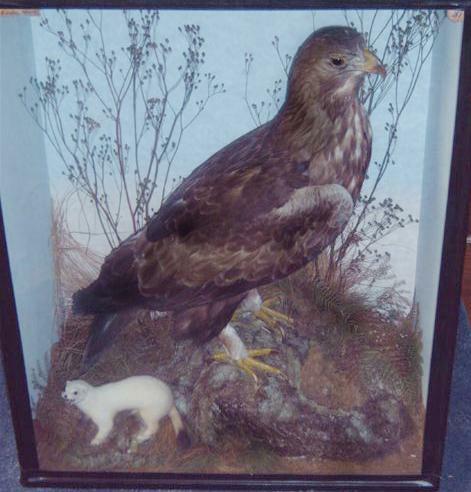 Victorian White tailed Sea Eagle by James Gardner of Oxford Street. 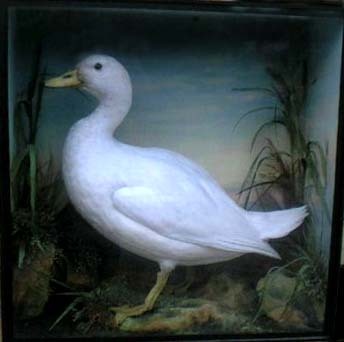 Perhaps best regarded as a unique case dated around 1880. This case came from a Scottish Estate recently. Towards extinction. This final decline of the Sea Eagle's demise was precipitated by the spread of sheep farming in the Western Highlands. Most of the local human population were dispersed to the very coastal areas favoured by sea eagles. 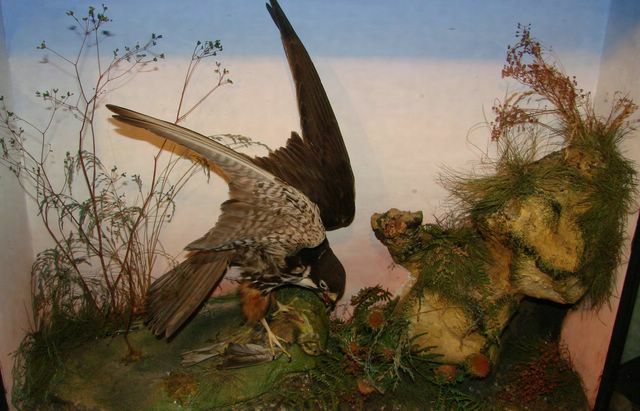 Shepherds used poisoned baits and improved firearms to devastating effect. 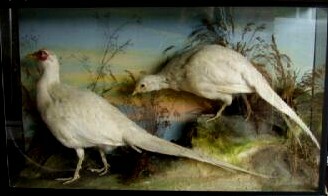 The Victorian passion for taxidermy and egg collecting increased as the birds became rarer and contributed to their final demise. 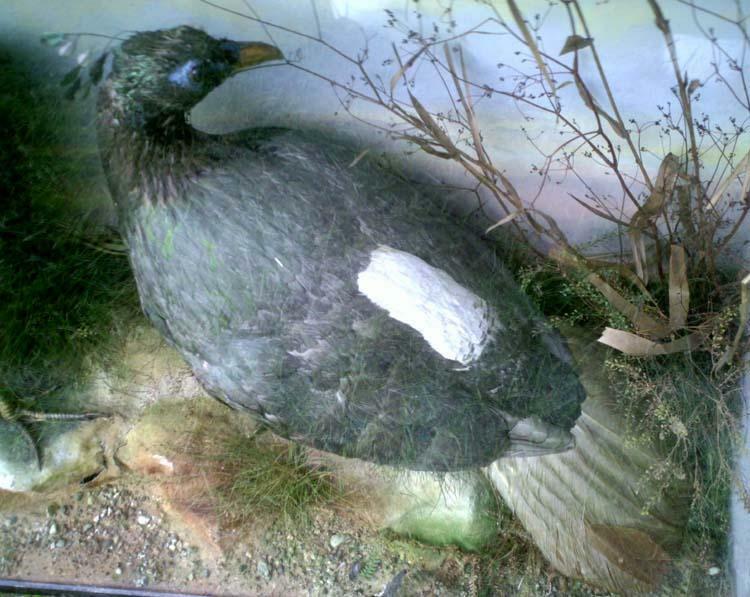 The last known breeding attempt by indigenous sea eagles was on Skye in 1916. Two years later, the only surviving British sea eagle, an ageing albino female, was shot at her lonely outpost in Shetland. It was to be almost 70 years before sea eagles once again bred in Scotland. 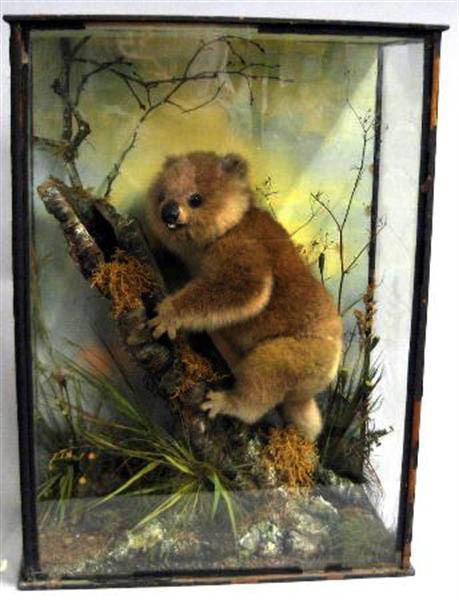 A Victorian cased preserved Koala Bear by James Gardner The animal in naturalistic pose, the reverse of the case with trade label. 55 cms high. Provenance: This item was brought to England by Captain Herbert Maude, circa 1865, from Sydney on board a ship of the British India Company. He was unaware that the animal only ate eucalyptus leaves and it consequently died. On a previous trip he had brought back a wallaby which subsequently ate all of the wallpaper off his aunt's dining room, he was given to London Zoo and as a result he had free entry to the Zoo for life. 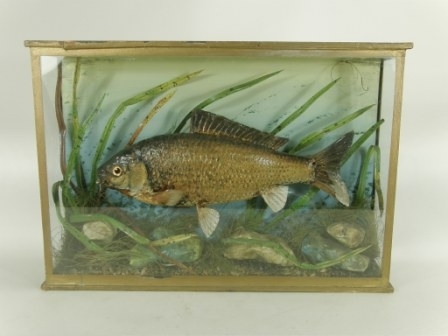 Another desirable case coming up for auction at Eastbourne Auction rooms. 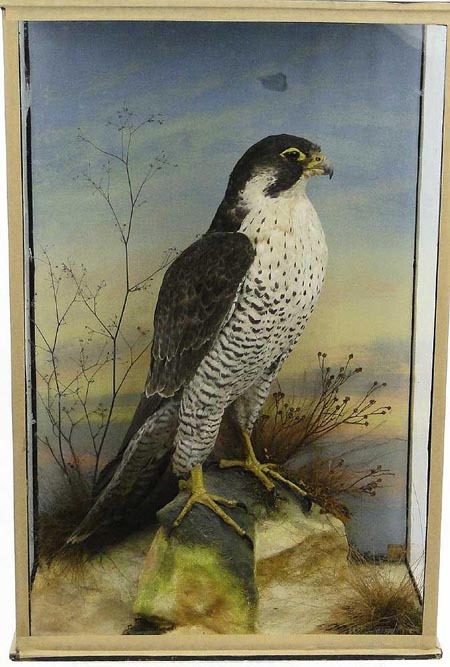 Peregrine Falcon by James Gardner. 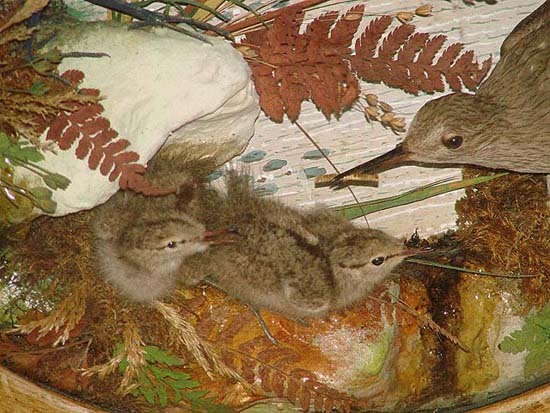 Close up of a case by James Gardner of Sandpipers with chicks. Very pretty Squacco Heron by James Gardner. Stunning pair of Golden Pheasants by James Gardner. 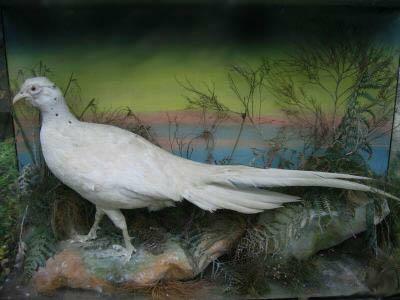 Very simple yet effect White Pheasant by James Gardner. 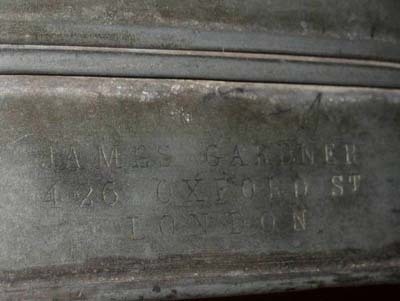 Classic James Gardner case. Sandpiper and 2 chicks. It could be argued that these are a matched pair of cases.Both cases are virtually unfaded, and have been in the same family for over 50 years. Classic James Gardner case. English Quail and 6 chicks. These cases were acquired yesterday and are not for sale. Both cases are virtually unfaded. 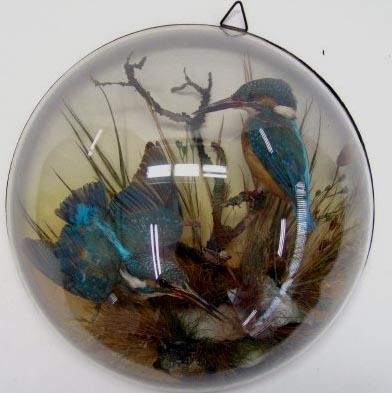 Very nice dome (removed for cleaning) of Sunbirds by James Gardner. We were delighted to be of assistence to a French collector to acquire this item. We have also been very active providing opportunities for US / European based collectors to acquire some fantastic cases from the UK. English Partidge by James Gardner. Mixed case od water birds, that include Snipe, Jack Snipe, Water Rail and Spotted Crake by James Gardner. 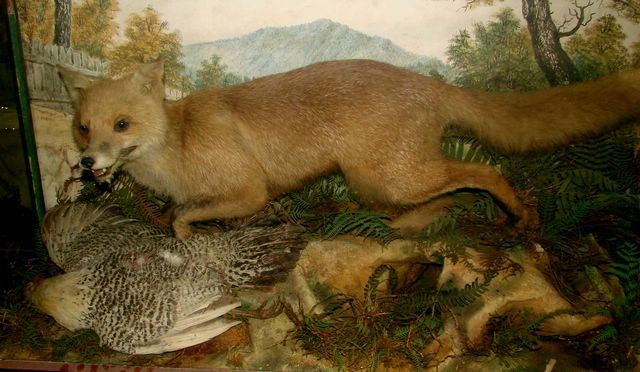 Victorian Red Fox with prey by James Gardner. 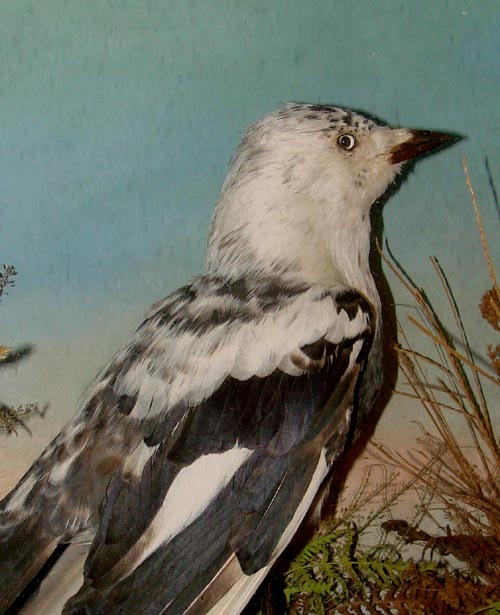 Victorian Jackdaw in part abberation by James Gardner. 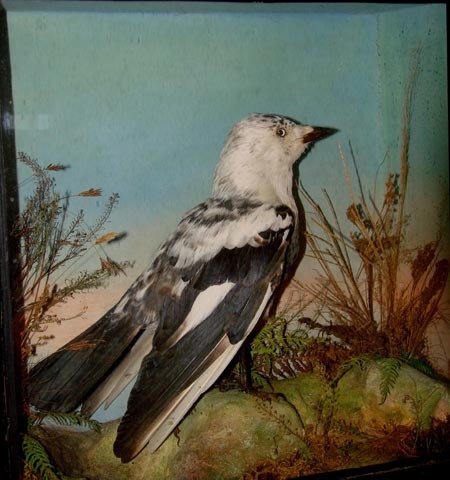 Victorian Jackdaw in part abberation by James Gardner. 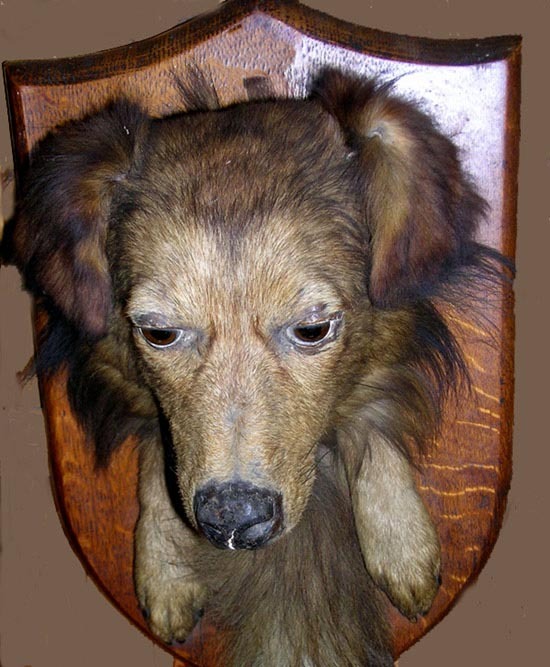 Unfortunately these genetic variations made them more desirable to victorian collectors. 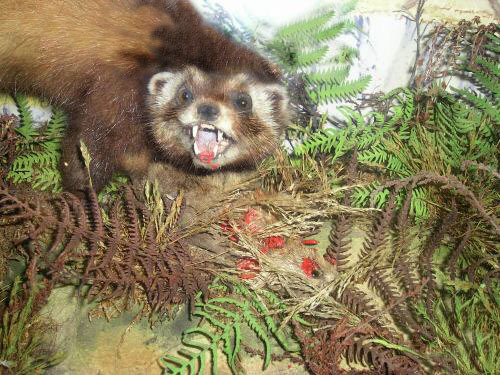 That said very typical of british historical taxidermy of the victorian era. 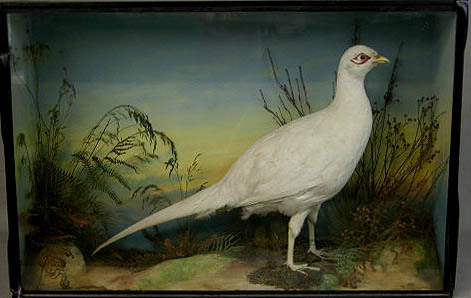 Victorian Reeve's Pheasant by James Gardner. Victorian Kiwi by James Gardner. 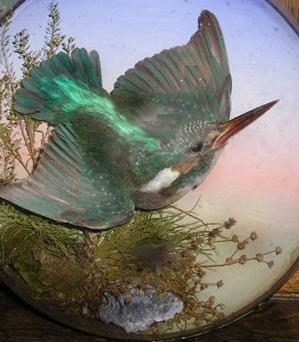 Victorian Humming bird in ebonised dome by James Gardner. 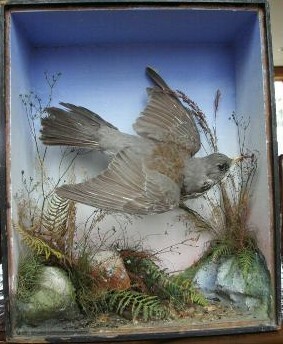 Victorian case by James Gardner, comprising mainly of New Zealand birds. 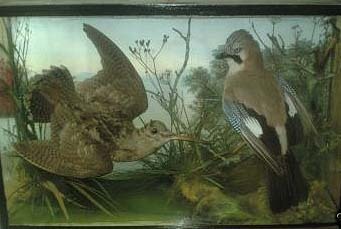 Victorian Jay and Woodcock by James Gardner. 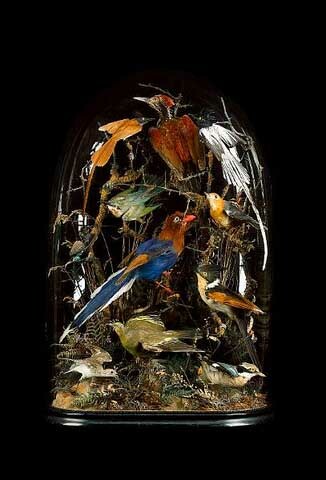 Victorian dome of exotic birds by James Gardner. 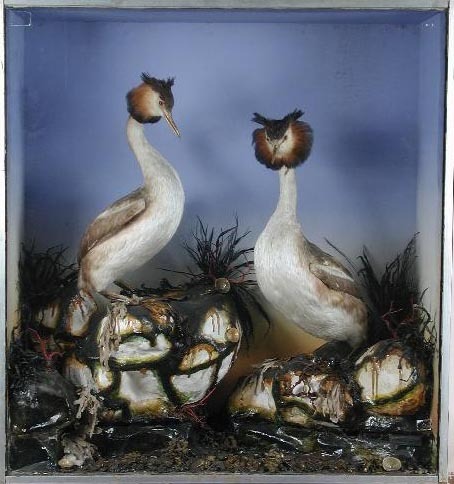 Victorian Great Crested Grebes by James Gardner. 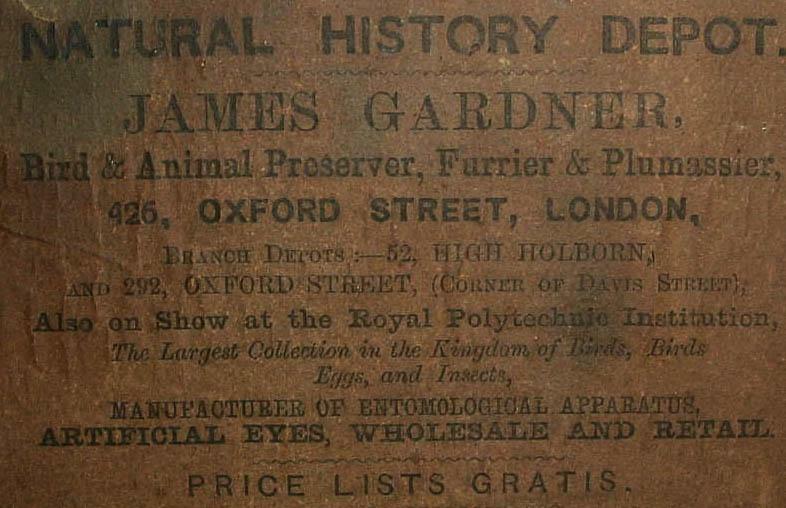 Victorian book on natural history by James Gardner. Victorian Australian Parrots by James Gardner. 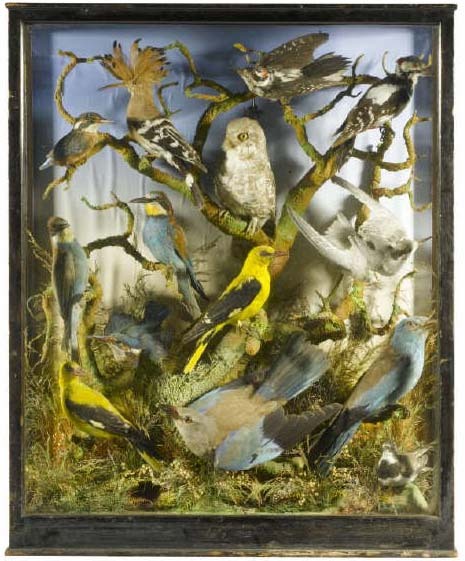 Large mixed case of birds by James Gardner. European Otter by James Gardner. 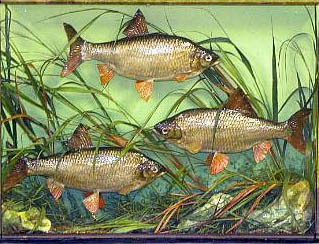 Victorian Common Carp by James Gardner. 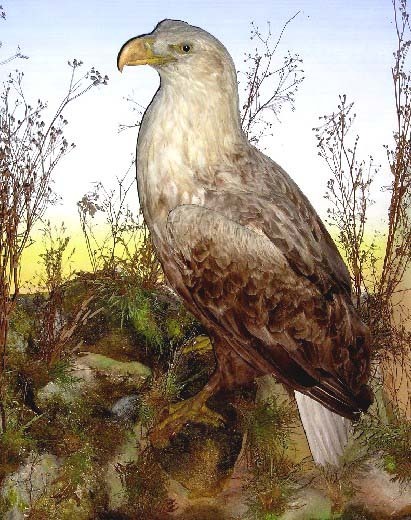 Victorian Golden Eagle by James Gardner with Ermin. Victorian Ermin by James Gardner in close up. Victorian Golden Eagle by James Gardner. European Shelduck by James Gardner. 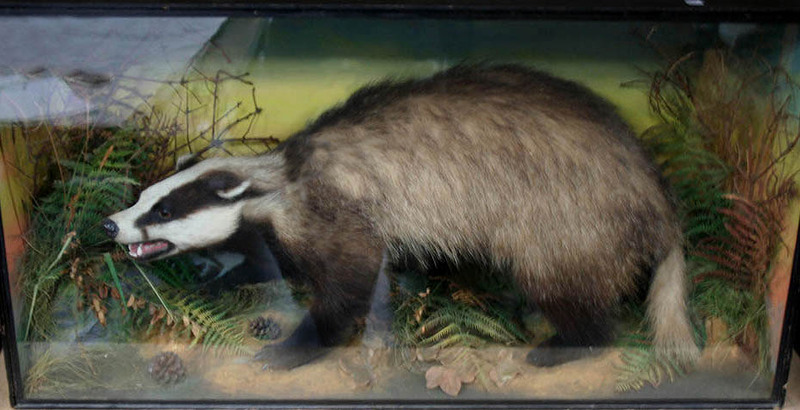 This case was originally sourced by us and a very good example of british historical taxidermy of the victorian era. 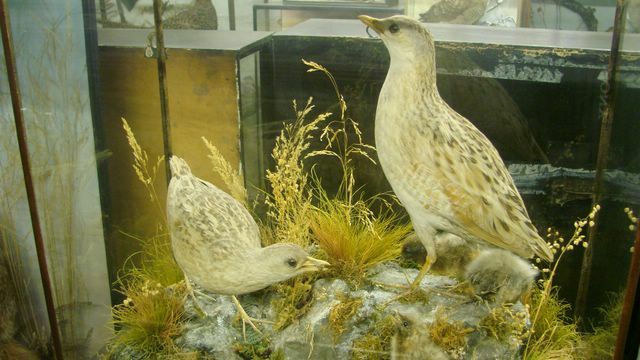 Corncrakes with chicks by James Gardner . Victorian Tawny Owl by James Gardner. 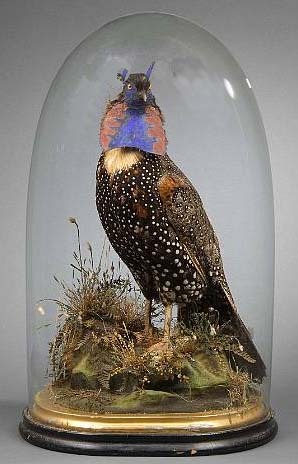 Victorian Tragopan Pheasant by James Gardner. 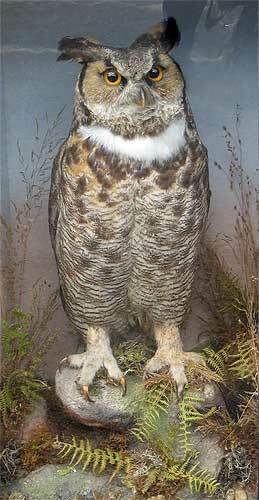 Victorian Eagle Owl by James Gardner. 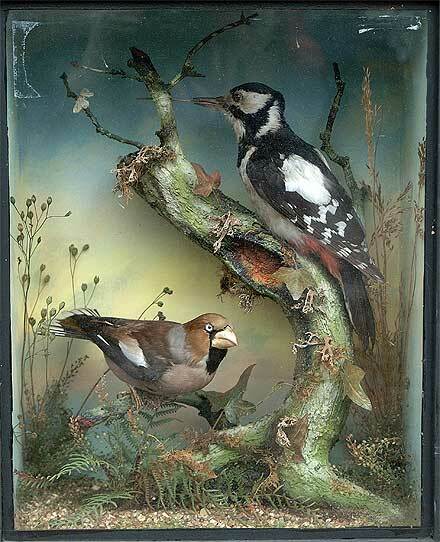 Victorian Hawfinch and Great Spotted Woodpecker by James Gardner. Victorian mixed case by James Gardner. Victorian Abberation House Martins by James Gardner. 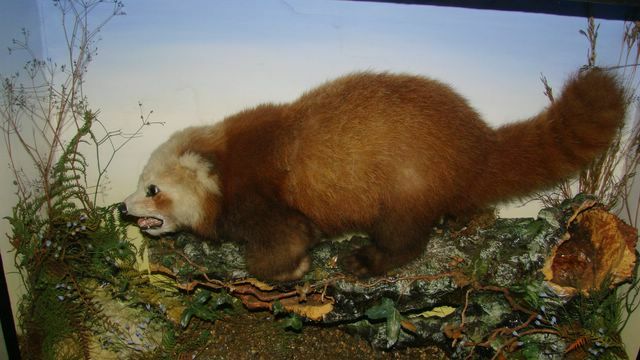 Red Panda by James Gardner. 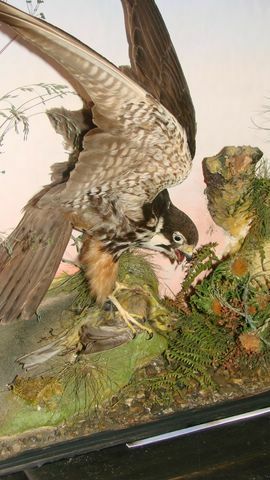 Victorian Hobby by James Gardner. 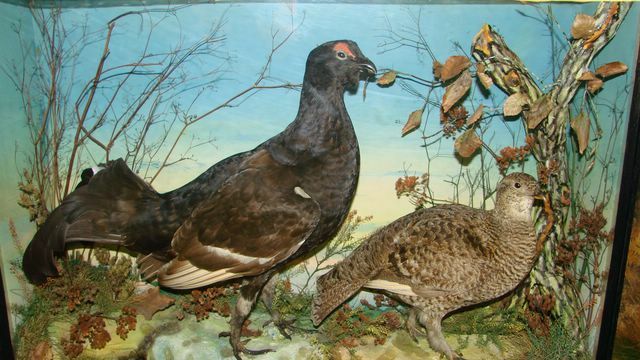 Victorian Black Grouse by James Gardner. .
Victorian Widgeon by James Gardner. 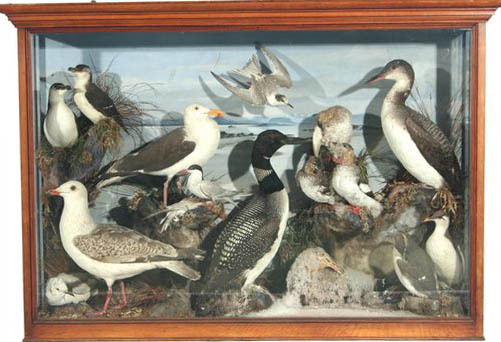 Victorian mixed Seabird case by James Gardner. Collie Dog by James Gardner. Victorian example. 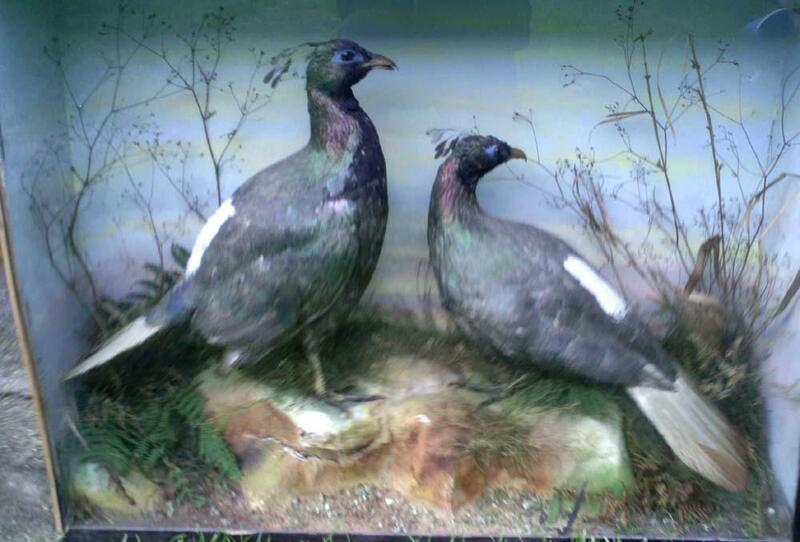 Pair of Monal Pheasants by James Gardner of London. Victorian case with no moth. This is very untypical of James Gardner as most if not all cases are very prone to moth damage. Victorian case label by James Gardner. 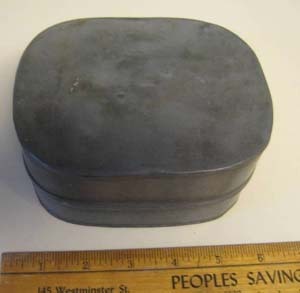 Victorian pewter case by James Gardner. 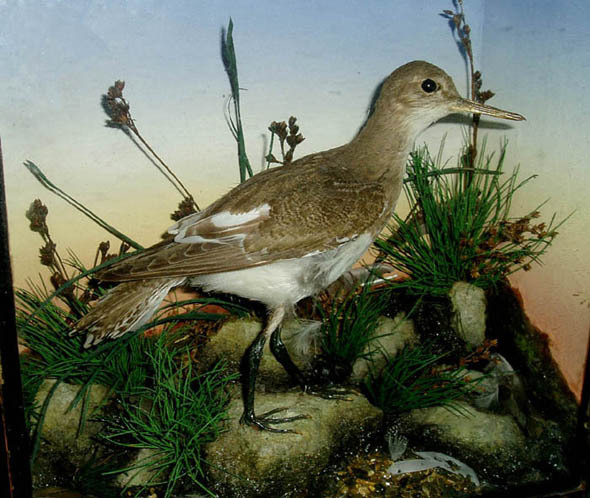 Victorian Common Sandpiper by James Gardner. 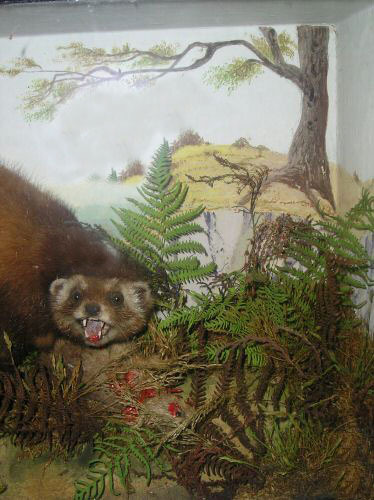 Unfortunately the mount has suffered insect attack, so common for this Victorian Taxidermist. Victorian Little Gull by James Gardner. 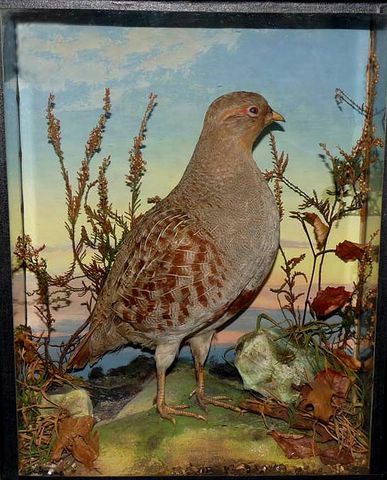 Victorian case of Red Legged Partridge by James Gardner. Roach by James Gardner. 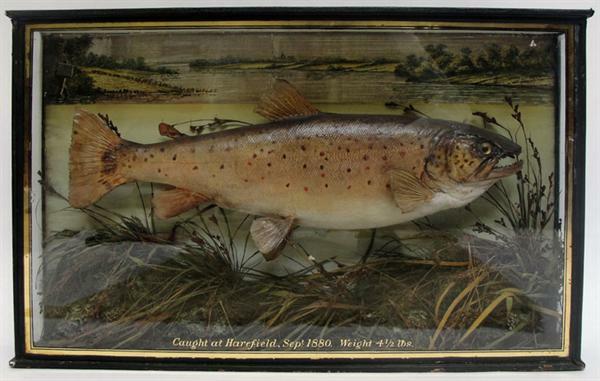 Fish are not that common by this taxidermist. 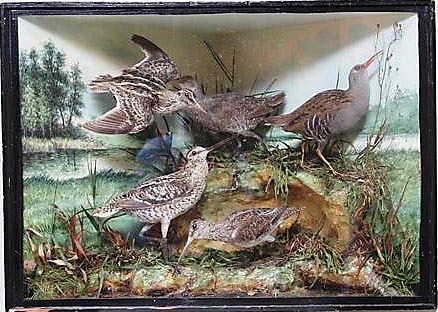 Mixed foreign bird case that includes a Francolin, Little Bustard and Pallas Sandgrouse by James Gardner of London. Victorian case with no moth. This is very untypical of James Gardner as most if not all cases are very prone to moth damage. 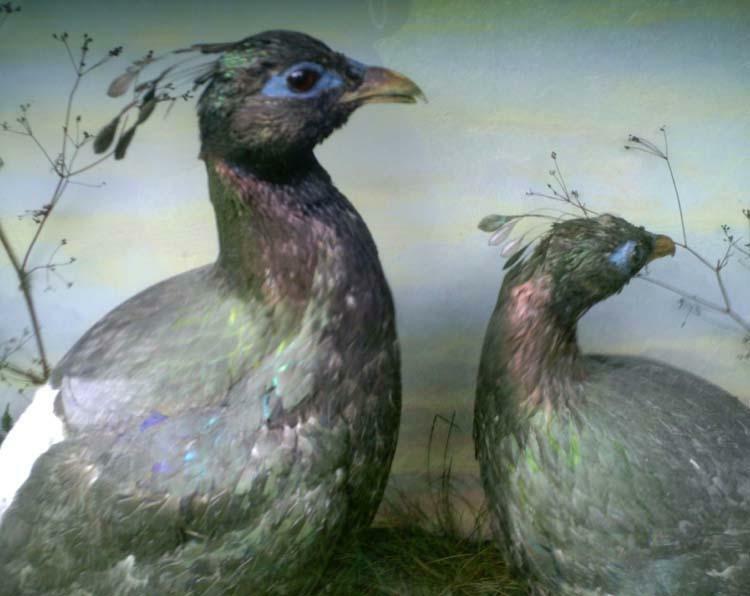 Pair of Monal Pheasants in close up by James Gardner of London. Victorian case with no moth. This is very untypical of James Gardner as most if not all cases are very prone to moth damage. 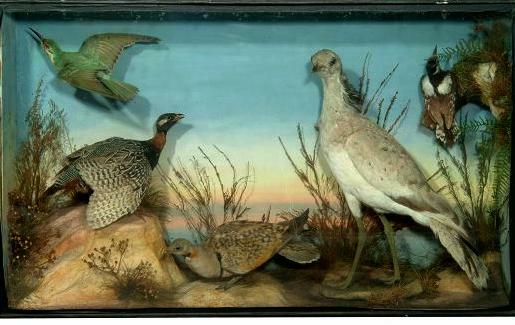 Victorian case of mixed waders/gamebirds. These include, Great Snipe, Jack Snipe, Woodcock, Snipe and Water Rail in a Winter scene. 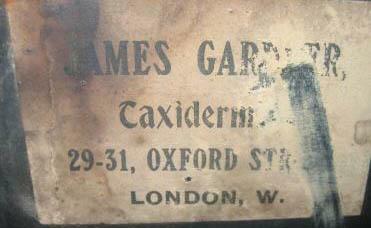 Case was created by James Gardner of Oxford Street, London. 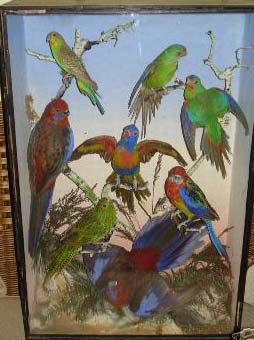 Large case of exotic birds by James Gardner, circa 1890. Turtle Dove by James Gardner. Victorian case. 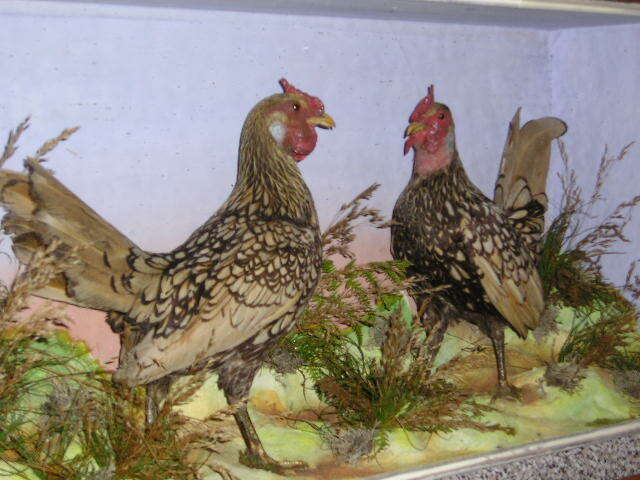 Stunning Bantams, a case by James Gardner of London. This is a very early and rare case. Totally original, circa 1890. Black Headed Gull by James Gardner. 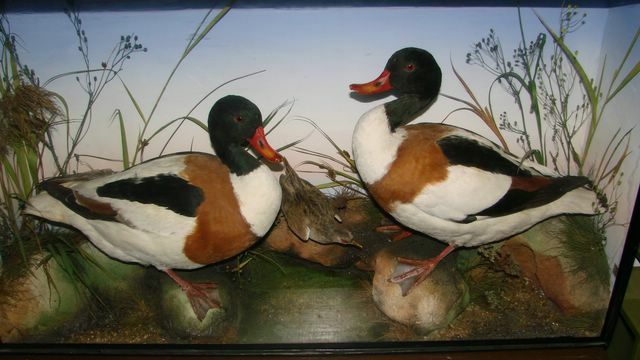 Pair of Shelducks and Spotted Crake by James Gardner. 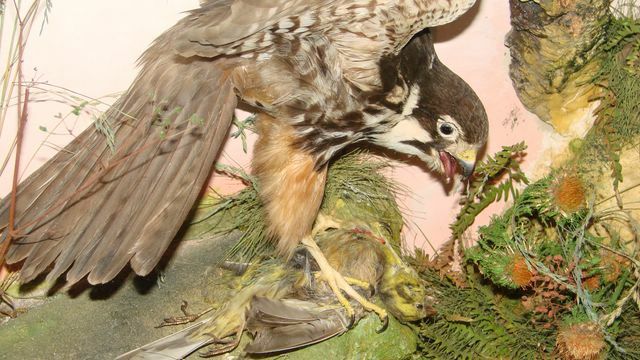 European Polecat and Rabbit prey by James Gardner. 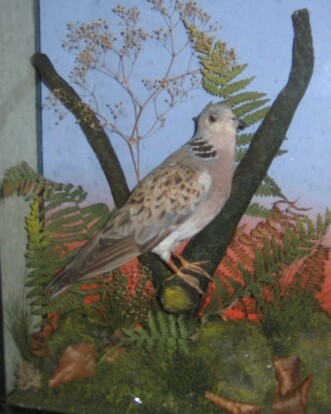 Foreign birds that include an Australian Zebra Finch, preserved by James Gardner, London. 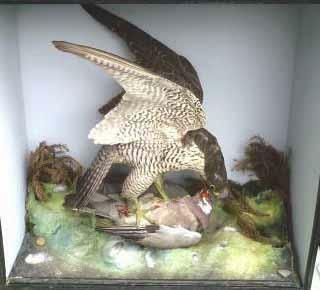 Peregrine Falcon with Wood Pigeon prey by James Gardner. Close up of Snowy Owls by James Gardner of London. Victorian case. 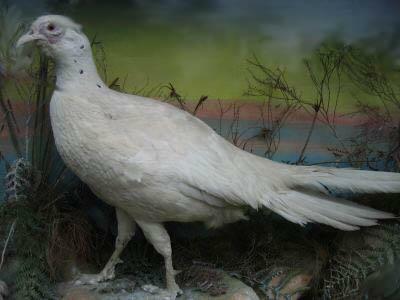 White Pheasant by James Gardner of London. Victorian case. Close up of White Pheasant by James Gardner of London. Victorian case. James Gardner of London trade label. Victorian case. 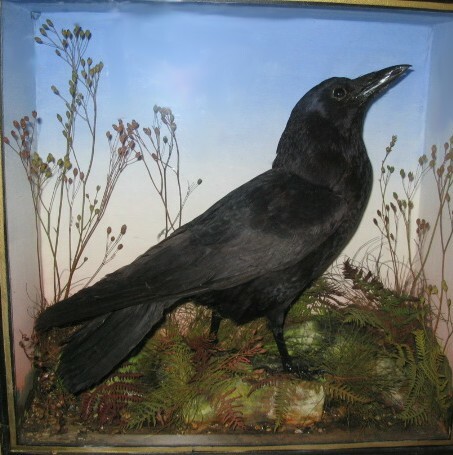 Victorian Carrion Crow by James Gardner of London. Surprisingly not mothed as most Gardner cases attract massive moth damage. Victorian Fieldfare in flight. Another stunning case reasonably priced by James Gardner of Oxford Street London. 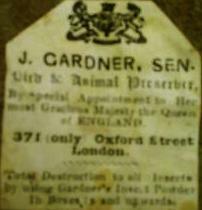 Although it must be remembered that Gardner cases are prone to moth attack and damage. 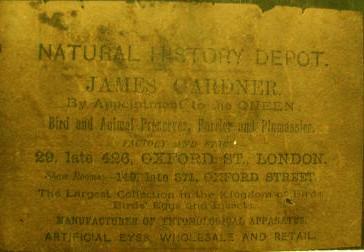 James Gardner trade label to the rear of the above case. 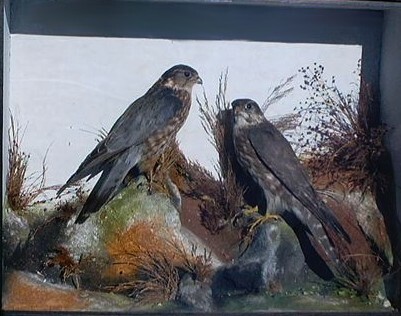 Victorian Taxidermy Merlins by James Gardner. 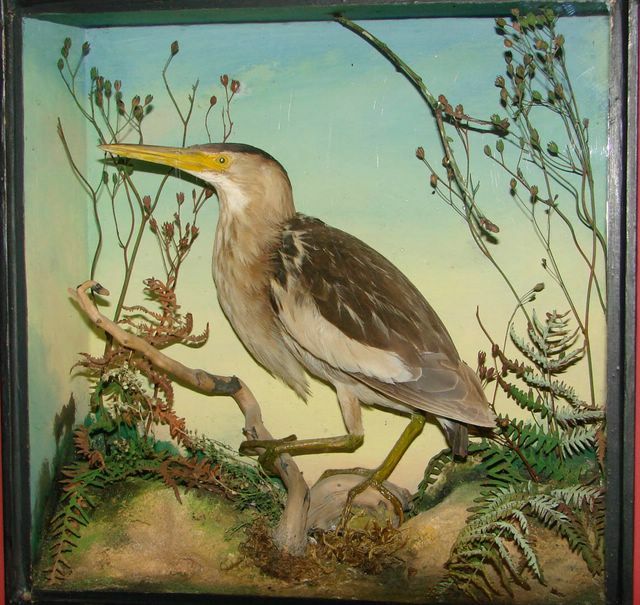 This case has been significantly restored and birds look very stiff in their aspect. 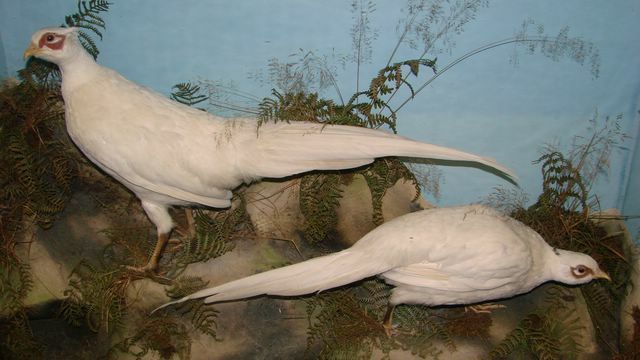 Pair of White, Ringed necked Pheasants by James Gardner of London. Victorian case. Lovely groundwork and natural poses for each bird, which was Gardner's forte. Red Fox by James Gardner, Oxford Street, London. Mixed case of Waders and a Little Grebe by James Gardner of London. 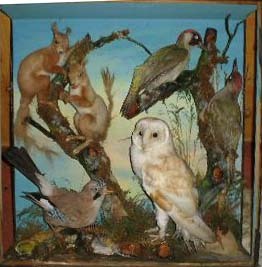 Victorian case of taxidermy. Monal Pheasant by James Gardner of Oxford Street, London. Victorian case.. Pair of Monal Pheasant in close up by James Gardner of London. Victorian case with no moth. This is very untypical of James Gardner as most if not all cases are very prone to moth damage. 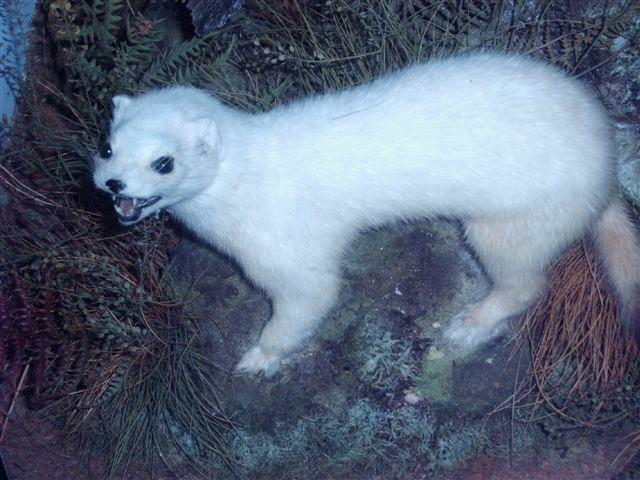 Taxidermy4Cash does not undertaken taxidermy, rather we are collectors of other people�s work, both current and historical we also offer web hosting, a search engine submission service and increasingly one of the larger article resource banks on the net. 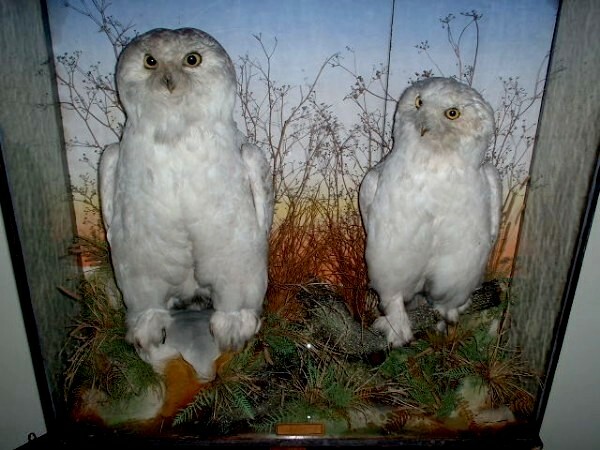 So if your keen to learn about Taxidermy etc, then you know where to look. We are always interested to here about new resource, if you feel a resource should be listed here then please contact us.